The sheep season starts august 25th and goes to September 28th. The herd consists of approximately 600 head of sheep scattered over an area of 25 miles by 25 miles. Part of the sheep country has road access and is accessible by 4 wheel drive trucks. The other part of the sheep country has no road access and we use horses for transportation into this area. Our camps consist of steel and plywood cabins equipped with showers. Each camp has a cook who will look after the food and anything that needs to be done around camp. The guiding is done by me or by my other assistant guides who has had a lot of hunting and guiding experience in this area. Our success rate over the past 12 years is 85%. 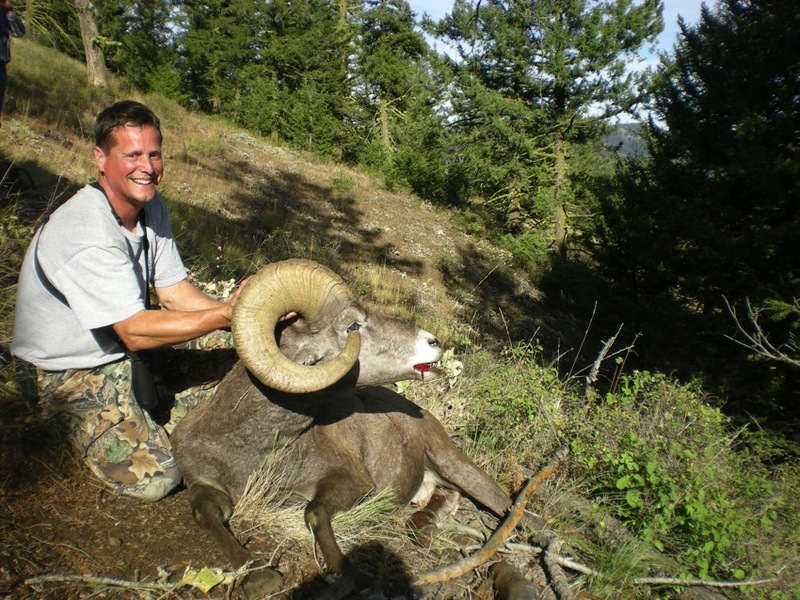 The size of ram that you can expect to harvest out of this herd will be between 150 and 175 Boone & Crockett points. The average has been about 160. Pre-season scouting and the fact that we are lifetime residents of this area have contributed to our high harvest success on trophy rams. Resident hunting pressure is very minimal because this area is on a draw system fork resident and a quota for non- resident hunters, which I am allotted to many permits per year. The success and quality of a hunt is dramatically increased under these conditions. 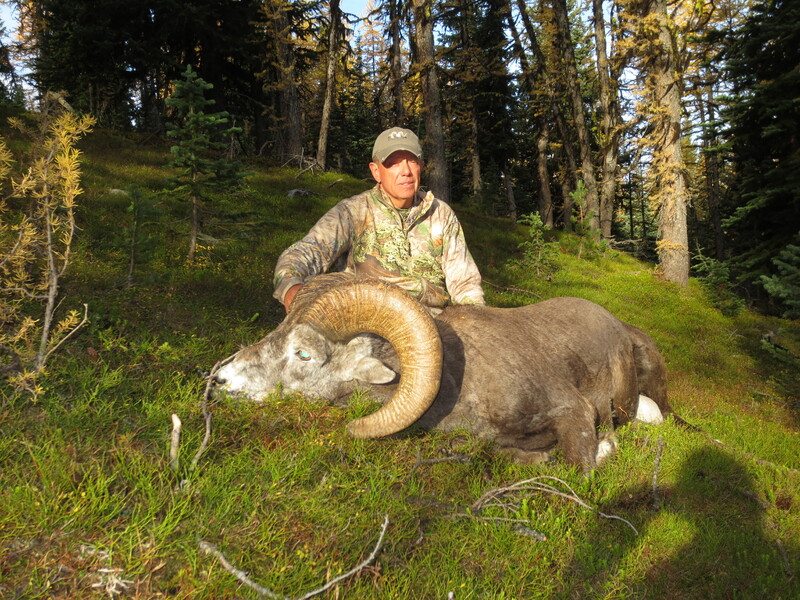 Bighorn Sheep hunting is physically demanding, so relatively good physical condition is required. If you have any questions, please don’t hesitate to phone me.